Mr. Arnold’s ability to integrate marketing concepts and financial strategies play a pivotal role in the development of his clients’ businesses. In addition to developing start-up companies, he is responsible for placing more than $1 Billion into public companies with as much as $400 Million in a single transaction. Significant mergers and acquisitions have been accomplished through his network of financial specialists and professionals throughout the world. In 1993 Mr. Arnold was one of the original investors in pre-paid legal “PPD” (now Legal Shield). In 2001 he was engaged by National Health “LEXXUS” the company grew from under $1.00 to over $40. Traded on the American stock exchange. Mr. Arnold feels that the direct sales marketing is an underserved market that deserves investors’ attention. Mr. Arnold believes that Stemtech has exceptional growth potential and sees this company’s bright future with our innovative stem cell nutrition products and the financial opportunity for our Independent Business Partners. Over the years, Mr. Arnold has carefully developed worldwide relationships with retail brokerage firms, investment bankers, traders, fund managers, and independent investors. A broad scope of his functions includes public awareness and financial relations campaigns arranged to bring undervalued, little known public companies with significant upside potential to the center of equity markets throughout the world. For over 35 years, Mr. Arnold traveled extensively serving as a guest speaker for many private and public affairs, including international investment conferences. The investor group’s Mr. Arnold consults have been able to participate in several profitable ventures. Mr. Arnold retired from the lecture circuit 1998. Mr. Arnold was the President and publisher of two financial publications from 1984-1998 (Personal Investing News) a paid circulation of over 500,000 subscribers and (The Sound Money Investor) a geo political Publication with an 80,000 paid circulation. In addition, Mr. Arnold was the host of 4-6 financial conferences a year (Sound Money Investor Conferences). Since 1998 he now concentrates on his primary business, he remains in high demand international as an author and lecturer at seminars on entrepreneurship and business economics and development. He is Founder and President of DVG Ventures & DVG Nutrition since 2014. He specializes in health and nutrition businesses and is a franchise strategist. For over 30 years, from 1983 – 2014, Mr. Green was with GNC Nutrition which included 20 years of corporate and franchise executive positions and over 10 years of various field positions encompassing all facets of retail operations across the United States. As President of Domestic and Global Franchising, he played an instrumental role in driving GNC Holdings Inc. from a market cap of $1 Billion to over $3.7 Billion. During Mr. Green’s tenure, he grew the business to over 3,000 locations in 53 countries, which led GNC Franchising to be the 7th most desired franchise in the world. In 2011, Mr. Green was part of the team that led the number one IPO of the year, helping the company raise an estimated $360 Million. Mr. Green believes that Stemtech is poised to make tremendous strides in nutraceutical and cosmeceutical product development which will shape the future of the cellular nutrition marketplace. Mr. Green is very excited about the amazing infrastructure built and revolutionary stem cell technology developed at Stemtech, which will drive the Company to achieve record growth and become a major global player in the nutritional and personal care product industry in the coming years. The Board of Directors of Stemtech Corporation appointed Victoria Rudman to Chief Financial Officer of November 2018. Victoria brings over 20 years of professional experience in multiple aspects of leadership, operations, accounting, finance, taxation and fiscal management. Spent most of her career in Fortune 50 global investment bank and retail brokerage firms as well as small cap public companies and startup ventures. Victoria Rudman served as Chief Financial Officer of Kalytera from March 2015 through June 2016 and continued to serve as Treasurer and Secretary of Kalytera, Inc. (TSX: KALY) since March 2015. The Company announced her appointment to Interim Chief Financial Officer, Treasurer and Secretary on June 29, 2018. She also serves as Interim CEO, CFO and director of Life Clips Inc. (OTC: LCLP) since January 2017. Additionally, she serves as Secretary, Treasurer and Vice President Finance for two private life sciences companies since October 2015. Ms. Rudman served as Chairman and CEO of Intelligent Living Inc. from 2011 to 2014. Prior to her role at Intelligent Living Inc., she held various technology controllership positions at Morgan Stanley and acted as a Vice President at Bear Stearns and Director of Business Planning & Strategy at Visual Networks, where she was the lead project manager for the entire technology business enterprise, including IPO and strategic M&A. Victoria Rudman holds a Bachelor of Business Administration in Public Accounting from Pace University, Lubin School of Business. With over 40 years’ business experience in logistics and management of projects, supply chain and staff, John oversees operations for Stemtech’s global company. In over ten years with Stemtech, he has supported openings of 51 national markets, serving as VP of Global Operations prior to his current position. John is now responsible for global inventory management, purchasing and transportation, as well as for global Human Resources, Partner Services, Training, Information Technology, global facilities and for global manufacturing of nutraceuticals, cosmetics and ECO products. Alejandro has been in the industry for more than 10 years showcasing a solid financial experience. In the past he has worked as a banker with an MBA and has developed his skills in growing and internationalizing multi-level companies. He is an active member of Chambers of Commerce in the role of a Counselor, as well as President of the food and food supplements industry. Alejandro is also a Vice President of the Health Commission in National Confederation of Industrial Chambers of Mexico. He is passionate about multilevel marketing industry, developing businesses and innovative products for companies and is always committed to quality service! Ken has been involved in the direct sales and training industry for nearly 30 years, the last ten mostly in countries in the Asia-Pacific region. At Stemtech, he has assumed responsibility for management and growth of our markets in Indonesia, Singapore, the Philippines, Thailand and in Malaysia, where he resides. He acquired wide experience through executive and consulting positions with a variety of sales/distribution organisations in Asia and Australia/New Zealand, where he demonstrated particular talents in the areas of restructuring for growth, strengthening corporate collaborative relationships and developing training for personal and business development. Svetlana has over three decades of business experience in large international companies. Her experience in direct selling is an asset to Stemtech with more than 25 years at different managerial positions in leading companies in Europe. Svetlana joined the Stemtech Family in December 2010 as General Manager and later started to develop the East European markets and recently the Western Europe markets as well. Svetlana holds a Master’s degree in Industrial Management and Master’s degree in Organizational Psychology & Consulting. She is a Certified Mediator , an experienced business and organizational analyst and consultant. Passionate in what she does and believes in , she brings inspiration with her strong focus on the positive development for the Company and the community, also volunteering for charitable causes. Svetlana is fluent in English and Bulgarian, loves Russian too. Director - Regional Sales & Marketing, Europe, Middle East & Africa. 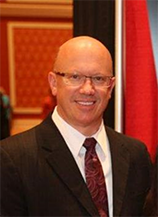 Bill Panopoulos brings Stemtech his experience and expertise from 28 years in the Direct Selling profession. He helped start and successfully operate Nutrimetics, growing that company in 20 years to over 100,000 distributors who generated annual revenues of more than 36 million euros. Most recently, he was General Manager/Managing Director for Yves Rocher in Greece. At Stemtech, Bill is responsible to build and support our markets in Europe, the Middle East and Africa. He is an accredited government-certified motivational speaker and coach who has trained over 60.000 sales people with programs focusing on sales and motivation. Bill is an inspirational leader with great people skills and management acumen and is a change agent who embraces the values of integrity, trust, respect and belief. A Greek native who lived for 30 years in Australia, Bill is fluent in both English and Greek. He holds Masters degrees in Marketing, Business Administration and Human Resources and is a life member of the General Managers Association in Greece. Kyoung Jin Ka proudly serves as General Manager at Stemtech Korea since 2012. With more than 27 years of experience in network marketing, KJ’s experiences have developed starting at entry level position with hands-on background and worked his way up to the executive management. KJ had endeavored to develop his skills and career prospects, Sales Manager position at Unicity, a company based in South Korea that develops nutritional and personal care products was a perfect opportunity for that. During his professional career, KJ has also actively contributed to the Neways growth and served as Sales & Business Development Senior Manager at Synergay World Wide Korea. Before joining Stemtech, Kyoung Jin Ka played an active role when successfully leading Kyani Korea operations as Sales & Marketing Director. KJ is a well-established executive, who holds BS in Chemistry. KJ is married with two sons who are university students and he enjoys spending time with family, especially while traveling and gastroventure. His personal interests include hiking and reading. Stemtech is pleased to have Richard Hu, who comes to the Company with over 25 years of experience in MLM industry, amongst its executives. Richard is a skilled executive with rich experience in leading business operations of many well-known international enterprises in Asia. Under his leadership, significant performance changes took place throughout Southeast Asia, mainland China and the Stemtech Taiwan Branch where he is currently in the role of General Manager. Richard Hu was entrusted to head Stemtech operations in Taiwan and maintain stability, which resulted in our confidence in him, continued growth of the Taiwanese market and the goal to conquer the entire Chinese market. Varied experience of many years and broad horizons allowed Richard Hu to form a solid foundation and understanding of the business principles, which in turn enable him to develop wide-ranging and unique marketing strategy concepts. His management style promotes the recognition of member’s needs, company's interests and corporate vision - the exquisite combination of successful leadership. Based on his professionalism and personality traits, Richard Hu was recently selected as a supervisor of Taiwan Direct Selling Association (TDSA) of the Republic of China, where he actively participates in enhancement activities and development of guidance policies of this industry.